This natural Platinum Nugget Crystal from Kondyer Massif in the Eastern Siberian Region of Russia is extremely rare. 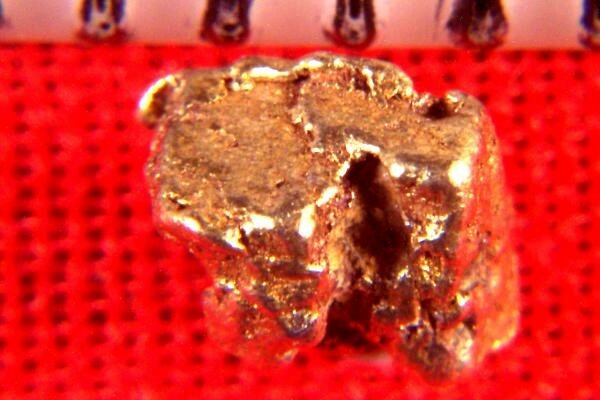 Naturally layered with gold, it is a geological phenomenon. 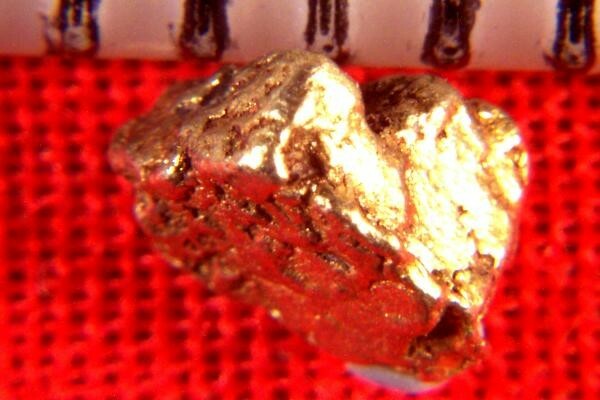 It is very rare to see platinum nuggets like this and Siberia is the only place that they have been found. 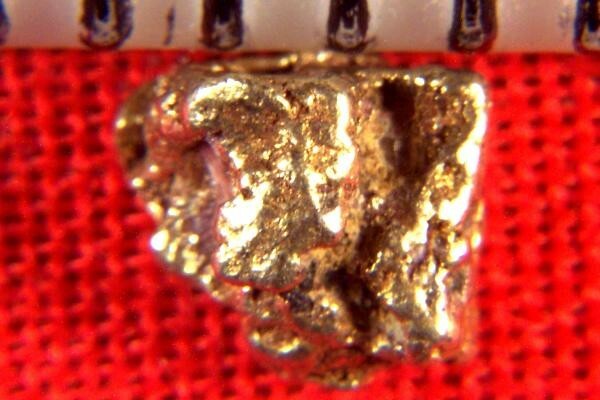 This amazing gold layered platinum specimen is over 3/16" (5 mm) long, and weighs 6.8 Grains (0.44 Gram)(2.2 Carats). It comes with a location card authenticating the discovery location and certifying the fact that it is a natural platinum crystal nugget.